The OBNE Excess. Everything you wanted, and more. Meet the Excess. Old Blood Noise Endeavors took all the good tones from your favorite 80's records and put them all on one sonic palette. Pairing a rich, harmonic distortion with lush chorus and delay, Excess is a perfect solution for a grab and go pedal or as simple source of inspiration for your next project. 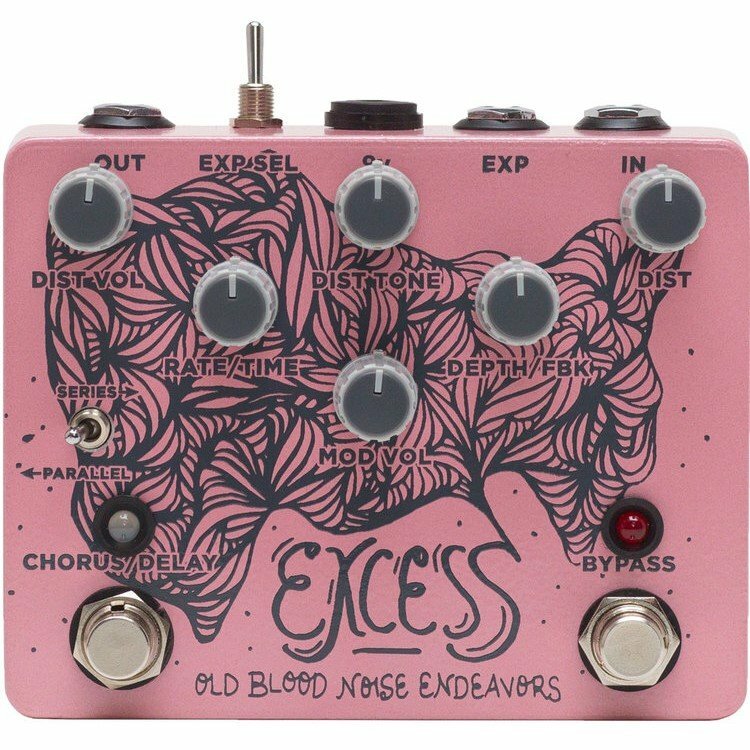 Excess features individual level controls for both the distortion and modulation sides of the pedal. A second footswitch lets you choose between the chorus and delay modulations on the fly. For even more versatility, there's a series/parallel switch that lets you route the signal path. In series, the distortion drives the modulation side and the level controls stack for a more pushing tone, while in parallel the two halves are summed together for a clearer modulation sound and more subtle distortion.